The PG221 would stand out in any crowd of monitors thanks to its incredibly strange but catchy looks. There are some things about the design that I really like, while there are other features that I really loathe. The piano black finish is great, as is the high-contrast coating on the panel itself. I know many don’t like the high-contrast finishes because they can often act more like a mirror than a monitor, but I personally quite like them. Sadly the screen’s appeal was ruined by the garish stickers shouting ‘try me’ – these immediately reminded me of the last time I visited Toys R Us; my toys used to have similar stickers all over them. Thankfully, they don’t take too much effort to remove, making the screen look a whole lot better. 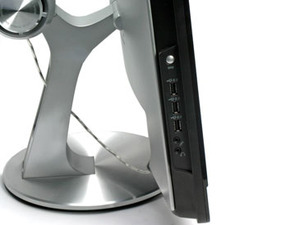 On the back of the monitor, there is a 15W subwoofer that is quite creatively placed in the monitor’s stand. 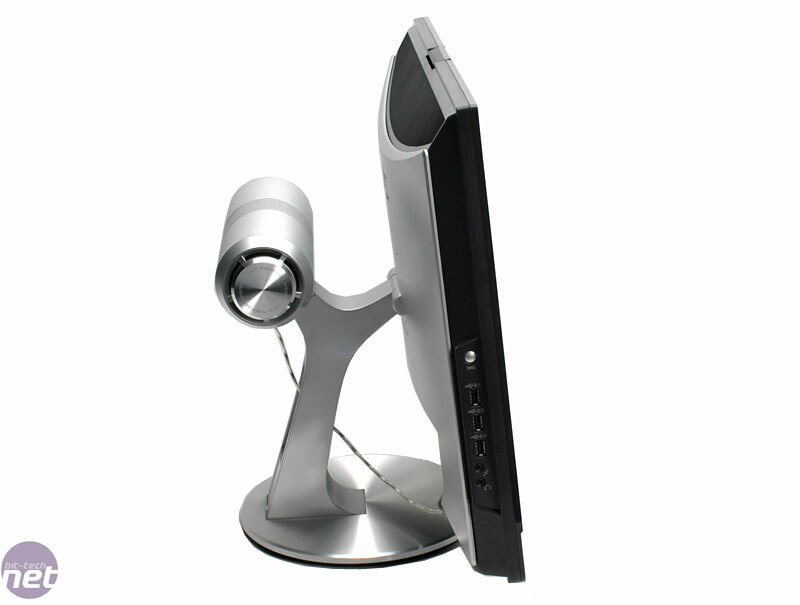 This helps to give a weighty feel to the monitor and combined with the circular stand, it’s not going to feel unstable on your desk. 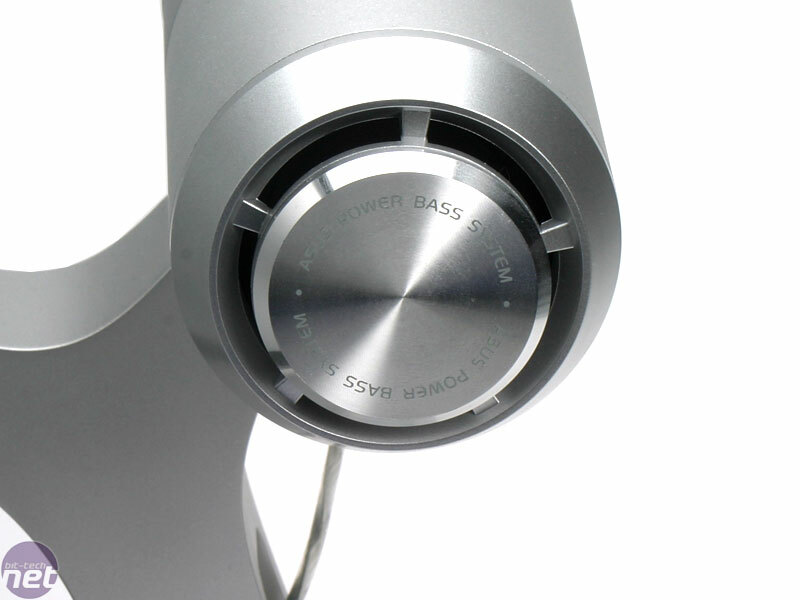 The subwoofer, or Asus Power Bass System, is complemented by a couple of speakers in the front of the monitor, either side of the touch sensitive OSD that we’ll come to shortly. These are slightly better than what you’d normally expect from a monitor, but they’re definitely no substitute for real speakers. 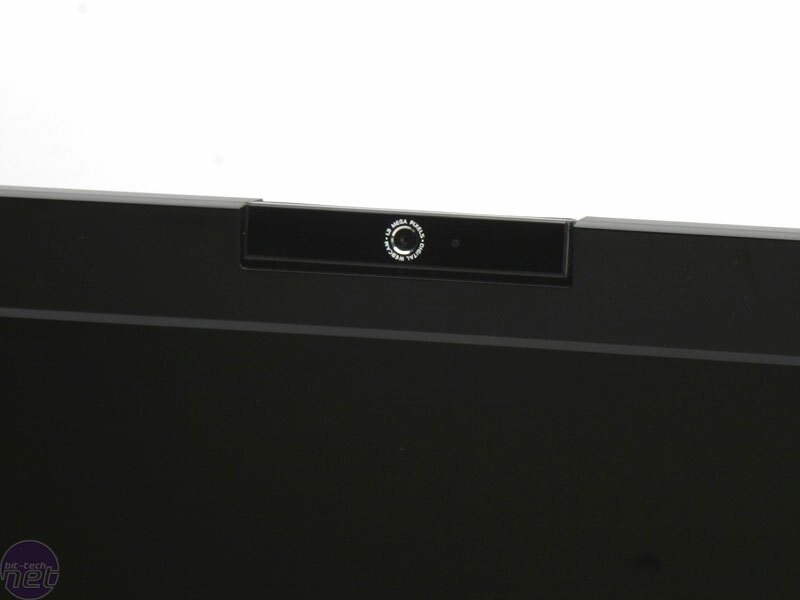 In the top of the monitor bezel, there is also a rotatable 1.3 megapixel webcam. You could argue that this isn’t a gaming-orientated feature, but it’s fair to say that a lot of gamers use some form of instant messaging to communicate with their peers, so why not show your friends your ugly mug at the same time? It’s definitely a feature we’d like to see introduced on more monitors, especially given the prevalence of broadband Internet these days. A slight oversight on Asus’ part is the lack of an inbuilt microphone, meaning that you’re going to have to connect your own if you want to communicate with your friends verbally. Of course, one could argue that the microphone is only going to increase the cost of the monitor, but then having inbuilt speakers and a webcam has already done that so it seems strange that Asus hasn’t gone the distance on this front. 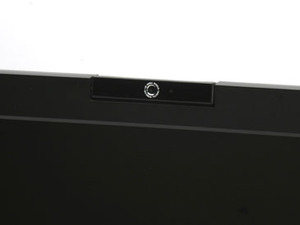 Obviously, the webcam is going to require a connection to your PC and in this case it’s a USB 2.0 B-type connector next to the array of input ports on the back of the monitor (more on these later). In addition, Asus has included another three USB 2.0 ports on the left hand side of the display, tucked just behind the bezel. Below these there are also 3.5mm headphone/microphone jacks and above them there is also an SRS button for turning the SRS surround effect on or off. The included headphone/microphone jacks are great because it means that you don’t need to run your cables all the way to your PC. 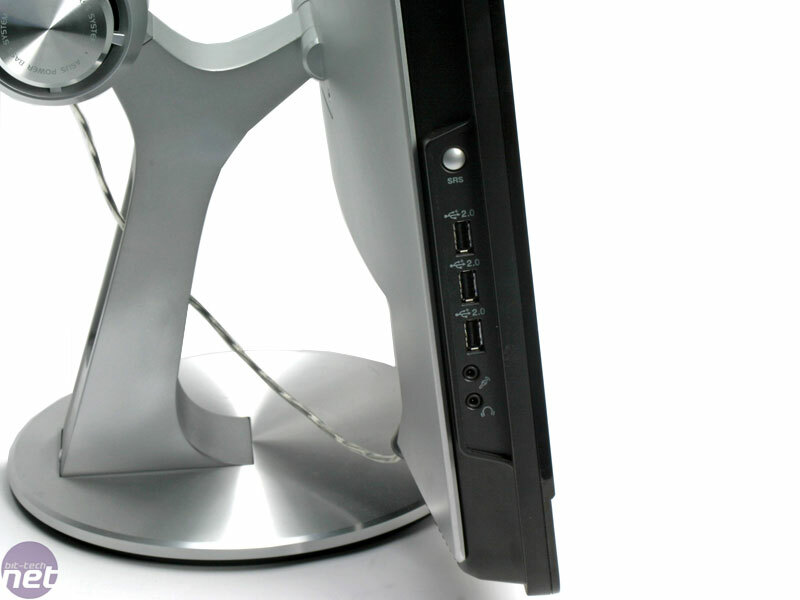 Instead you can just plug directly into the side of the monitor and the overall result should be less hassle and also potentially less cable mess because the USB, headphone and microphone cables are all part of the D-sub cable.